I thought that being back in the UK I could stop being perpetually lost. I thought that going home from my Father's which is a journey that I've done maybe 20 times before I'd know what I was doing. Nope. As I got onto the M25 I ended up heading East rather than West. I had to pull off and consult my map. Damn, I decided to go all the way around the M25 and catch the M1 rather than the M40. A few miles after this decision I noticed the signs on the motorway were for the Channel Tunnel and not Dartford. I'd managed to get onto the M20, it seems my bike or my subconcious wants to go back to the continent. Another turn around, more backtracking and more mileage. 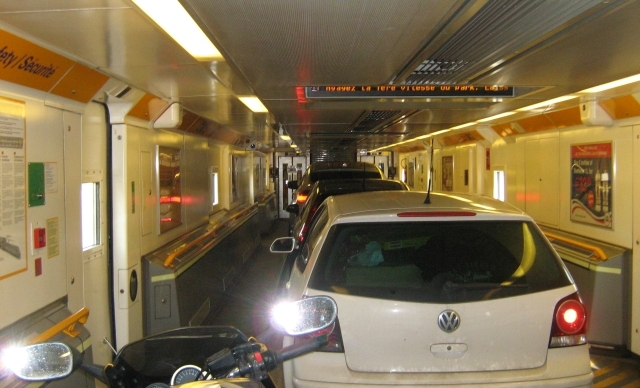 The Dartford tunnel came into view with much relief. Thankfully I managed to navigate the rest of the trip without incident or getting lost. It increased my journey from 270 miles to 340. Damn. As I rode the last 50 miles I decided that I'd stop at Sandbach services. 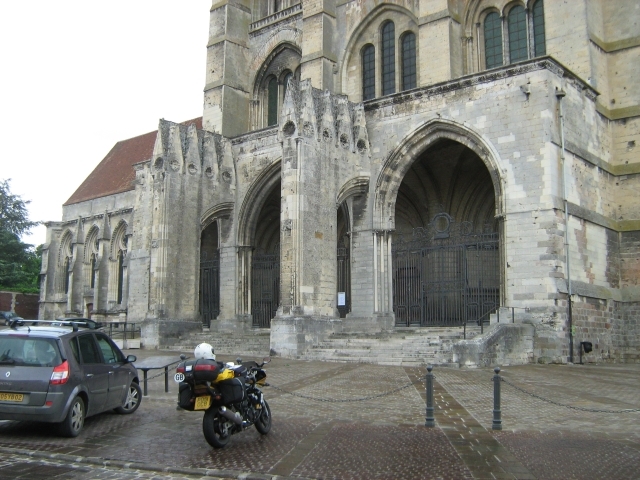 As I rolled onto the car park I spotted a few bikes near the entrance, as I got closer much to my amazement I noticed the French biker I'd traveled through the Chunnel with! What rea the chances of that. They "camped" on a services down South last night and they were due to catch the ferrry to the Isle Of Man that afternoon. I spot the car with another bike in the rear, squashed into the back of the MPV. They're mustard these guys, I can tell you. The French lads. And the bike crammed into the rear of their car. I got back home fine that evening and unpacked and settled in. It felt good to be home, good to have my own toilet and my own bed and a TV and radio. It felt good to be back online and to talk to the gf and some friends and all the other things that make life at home worthwhile. But O-M-G have I had the blues since! I know everyone gets the post holiday blues. You have a week or two without work, without the hassle and dull drudgery of everyday life, you've had a break and now it all comes crashing down around your ears. It's back to the washing up, back to the morning work routine and back to dull nights watching crap on telly. This time it was worse. I had everything as listed above, but everything feels so "small" now. OK, the house is bigger than that godawful tent, it's the space of the road I miss. There's another almost intangible "something" too. The only word I can give it is potential. Things at home and in everyday life follow a pattern that's only interrupted with tiny changes like what's for tea or the latest episode of the crime program I follow. The chances of meeting interesting strangers is remote, the chance of seeing something new is almost impossible and so on and so on. I only skimmed the surface of a bigger world, there's so much out there. What practical lessons have been learnt? Tent first. 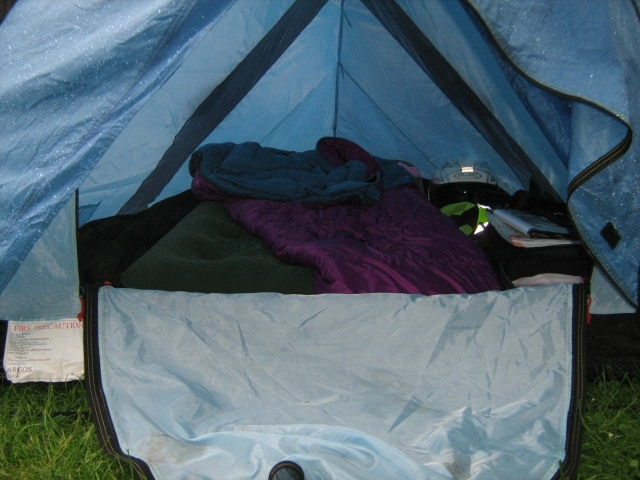 It seemed such a good idea to take the small tent and it did save on weight, but goodness me it was a bind. I'll use my larger tent and sometime soon I'll invest in a quality lightweight one that is well designed and large enough for my stuff. The Dutch cyclist summed it up, the tent can make or break a trip. If a quality tent costs maybe £60 or £80 it will still pay for itself if I'm happy to camp rather than get a room in a hotel a couple of times. A quality tent should last a while too. Security. The Germans being robbed while they slept rather scared me. I know the world is not all bad but in future I'll be sure to keep any valuables with me or locked up. I think it may make sense to build or buy some sort of top box that can be locked with some degree of security. I refuse to be beaten into not doing things by thugs or thieves, but taking basic measure is not a bad idea. The Dutch cyclist summed it up, the tent can make or break a trip. Personally, and this is for me not everyone, I should NOT plan long trips each day. I'm not an iron butted hardcase that likes to cover huge distances and prove what a man he is. I prefer a shorter daily ride where I can take my time, take plenty of stops, see what's going on and oddly, meet people and sample the local life. 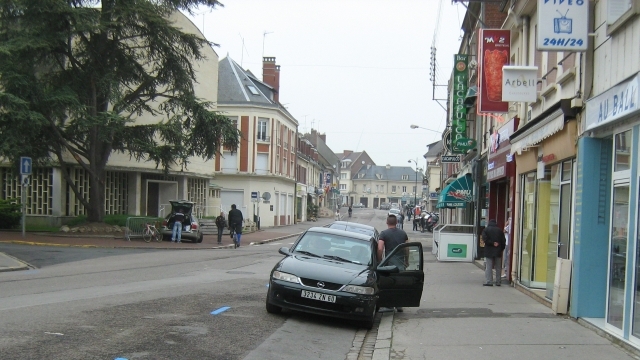 The most memorable parts of the trip were the cafe's, the tabac's, the small shops and the campsites. I don't like everyone I meet, but I like meeting everyone. The trip was not all fun fun fun, but it was certainly a worthwhile and enjoyable experience. I hope I can do it again soon. 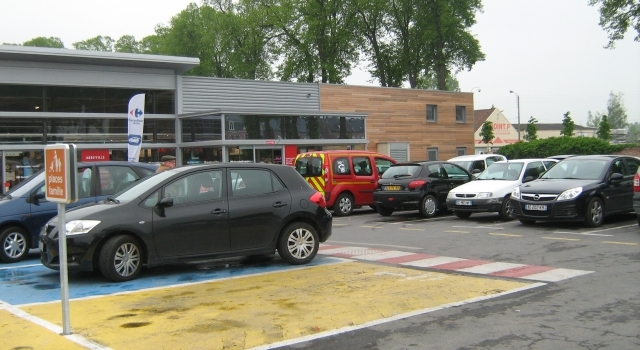 Why could I not figure out which way to go to France at the Chunnel terminal? Not all of France is beautiful wide open farmland. They have ordinary towns with ordinary supermarkets just like home. Even the small towns are not that different. Stil can't get used to this driving on the wrong side though. They do like their wind turbines on the continent. I saw plenty in France, Germany and Belgium. I really really really really...........................really wish I'd taken my bigger tent. OK, not all of France is run down, there are some quite smart places. 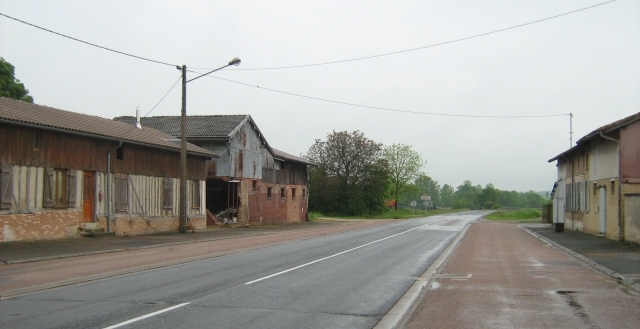 But this broad open road with it's broken buildings and well used appearance are quite typical. Boats on the river at Mettlach in Germany. 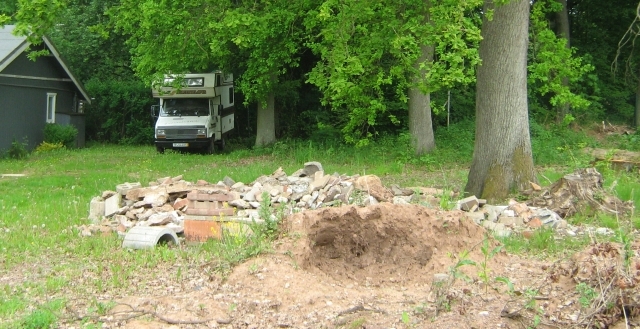 Lebach campsite. Not a very smart or manicured campsite. Well ive killed an hour and a half reading of your adventure and what a great read it was. we can talk further about the trip next time we meet.